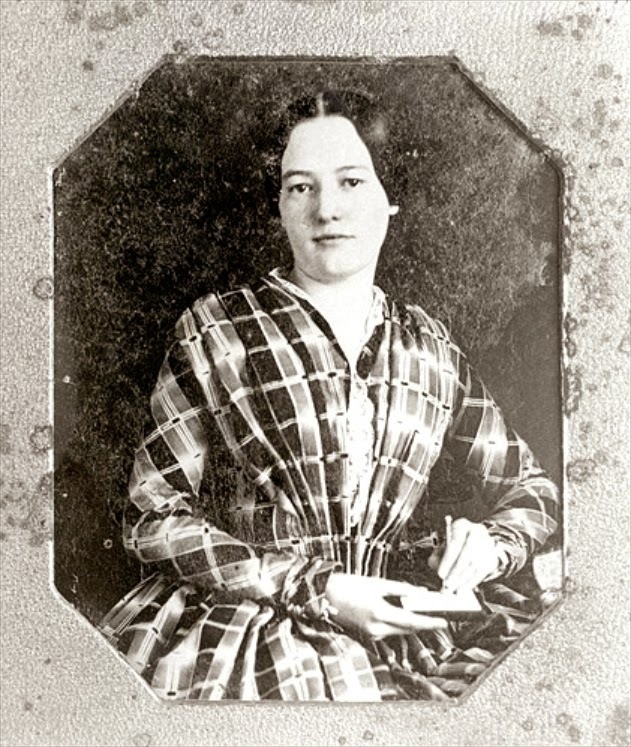 Julia Gardiner Tyler (1820 – 1889) was the second wife of president John Tyler, and served as First Lady of the United States from June 26, 1844, to March 4, 1845. She was born on Gardiner's Island off the eastern tip of Long Island, one of the largest privately owned islands in the US. In early 1842, at a White House reception, Julia was introduced to President Tyler, who was thirty years her senior. Julia enjoyed the President's gallant and flattering public attentions but laughingly replied "no, no, no" to his first marriage proposal. On February 1844, Julia, her sister Margaret, and her father David joined a presidential excursion on the new steam frigate Princeton. David Gardiner, along with a number of others, lost his life in the explosion of a huge naval gun. Tyler comforted Julia in her grief and they were married 4 months later. 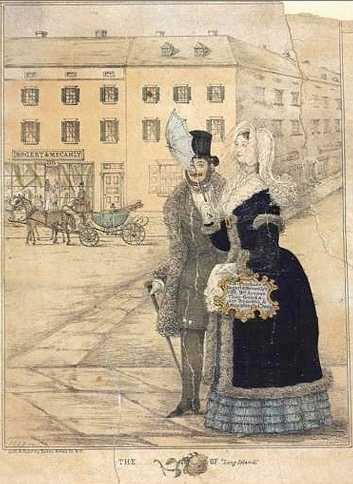 In 1839, Julia secretly posed for an engraving which was used as an advertisement. "I'll purchase at Bogert and Mecamly's, No. 86 Ninth Avenue. Their Goods are Beautiful and Astonishingly Cheap." This caused a scandal since this was an age in which no well-bred lady allowed her name to be printed in a newspaper. After leaving the White House they retired to Sherwood Forest Plantation in Charles City County, Virginia. The couple had seven children in total. After her husband's death in 1862, Julia moved to Staten Island, where she resided at the Gardiner-Tyler House from 1868 to 1874. In 2012, two of president Taylor & Julia's grandsons were still alive. Nice photo. John Tyler is one of our lesser-known presidents.